Forgiveness and letting go are steps on our road back to happiness. I chose and my world was shaken. So what? The choice may have been mistaken; the choosing was not. 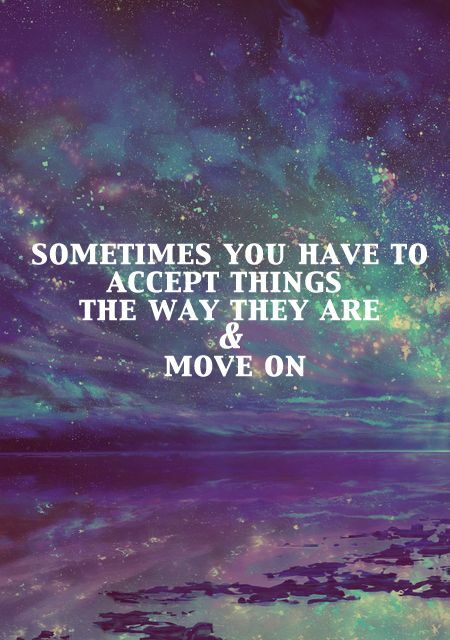 You have to move on. Courage is not the absence of fear, but simply moving on with dignity despite that fear. By forgiving and choosing to move on, one takes the power back to morph it into positive energy. The Tao Te Ching says, When I let go of what I am, I become what I might be. When I let go of what I have, I receive what I need. Have you ever struggled to find work or love, only to find them after you have given up? This is the paradox of letting go. Let go, in order to achieve. Letting go is God’s law. There are things that we never want to let go of, people we never want to leave behind. But keep in mind that letting go isn’t the end of the world, it’s the beginning of a new life. There’s no need to miss someone from your past. There’s a reason they didn’t make it to your future. Do not worry if you feel low; the sun has a sinking spell every night, but rises again all right the next morning. As soon as forever is through, I'll be over you. Change is never easy, you fight to hold on, and you fight to let go.